Lock in a great price for Casa D'or Hotel – rated 8.2 by recent guests! Location Staff especially Rima at the reception was very charming and helpful, always trying to make our stay comfortable. When we complained about the low water supply , She upgraded us to another suite. Got an upgrade Reem in the reception was super host High accountability and ownership to the place Very informative about all our requests. 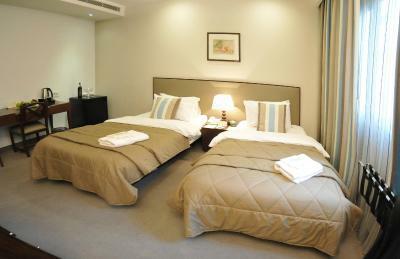 An excellent small hotel in the most enjoyable neighborhood of Beirut. Indeed, it's my "home away from home". The staff is excellent and they always upgrade my rooms. I can recommend this hotel without any reservations--they are all fine people and the property is well-maintained. Enjoy your visit. 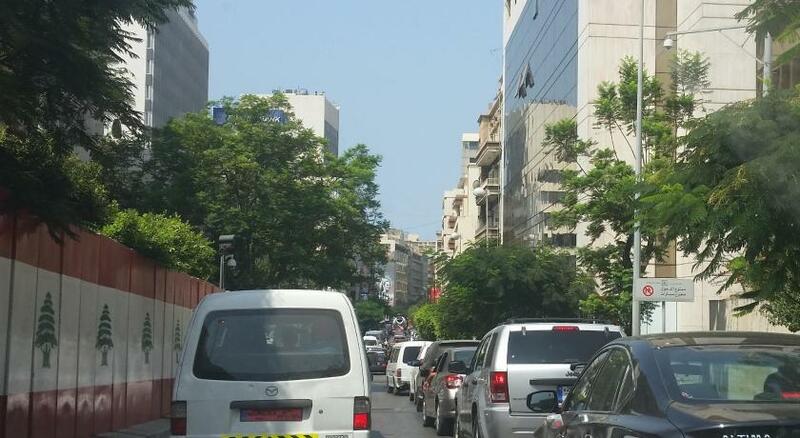 Excellent location right off of Hamra. Tons within walking distance. The hotel also arranged a private driver to take us to the grotto, Harissa and on to Byblos. Excellent! My room was very quiet, comfortable and clean. I was pleasantly surprised to find a large fruit basket awaiting me and plenty of tea, coffee, sugar and cream for the coffee pot. 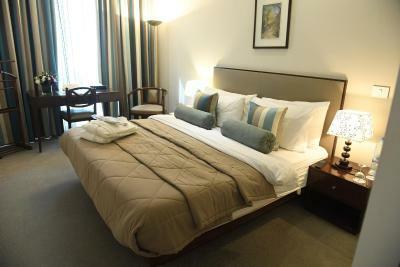 The hotel is a very good value for its location, comfort and convenience, just around the corner from Hamra Street. Location was fantastic. I have forgotten her name but the lady who worked the front desk most mornings was very friendly and always wanted to ensure my stay was pleasant. They arranged a taxi service for pickup from the airport which was nice to not have to worry about transportation upon arrival. The location is very close to AUD and major streets in the downtown. The staff are very friendly and supportive. The breakfast was outstanding and the room size was good. Casa D'or Hotel This rating is a reflection of how the property compares to the industry standard when it comes to price, facilities and services available. It's based on a self-evaluation by the property. Use this rating to help choose your stay! 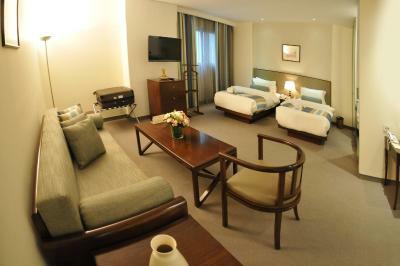 This 4-star hotel in Beirut’s Hamra district is next to Hamra Street, popular for its trendy stores. 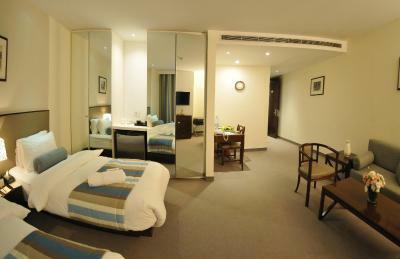 It offers air conditioned rooms with flat-screen TV and a kitchenette. The bright rooms at the Casa D'or Hotel have carpeted floors. 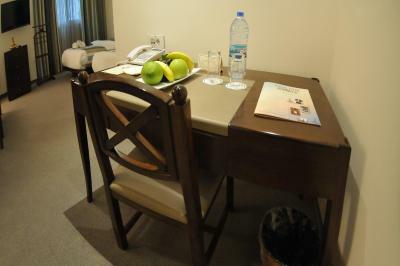 They include a sitting area with a work desk and bathrooms equipped with fragrant soaps and lotions. 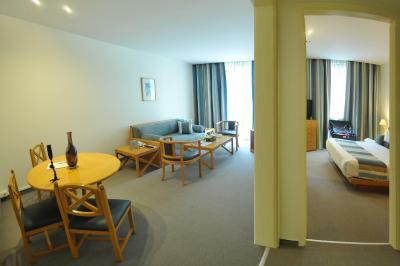 The suites have a separate lounge area. Guests can enjoy a rich buffet breakfast in the mornings. For lunch and dinner, the restaurant serves Lebanese and international dishes prepared with seasonal ingredients, complemented by fine wines. Room service is also available. The hotel’s front desk is available 24-hours a day. Other facilities include an airport shuttle service, car rental and free daily newspapers. When would you like to stay at Casa D'or Hotel? 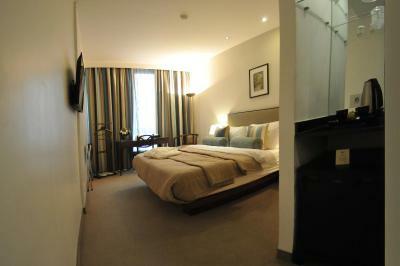 Decorated with European-style furniture, this room has a kitchenette with hot plates. 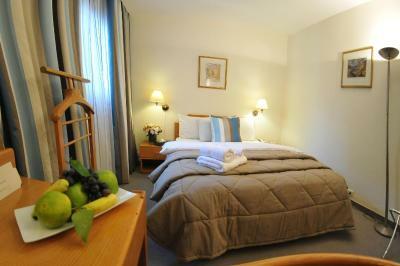 Decorated with European-style furniture, this room has a kitchenette with hot plates. This room offers an electric kettle upon request. Studio-style unit with a lounge area. 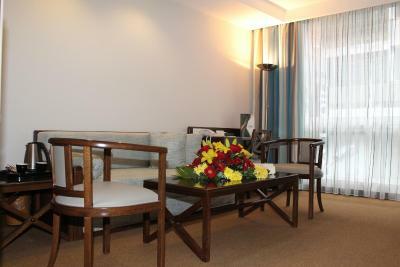 One additional person can be accommodated in the suite, subject to an extra charge. Includes a separate bedroom and lounge area. 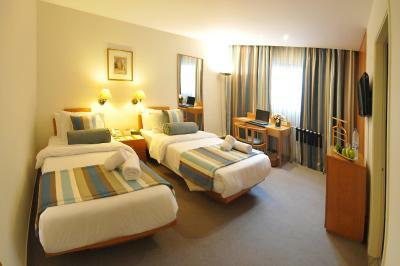 Two additional people can be accommodated in the suite, subject to an extra charge. 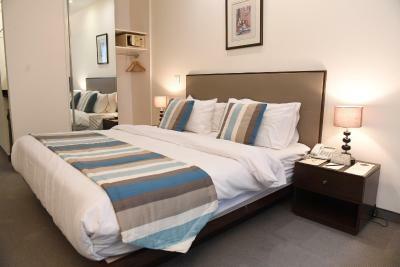 This extra spacious, air-conditioned room features a bedroom, separate living room and kitchenette with fridge and tea/coffee making facilities. 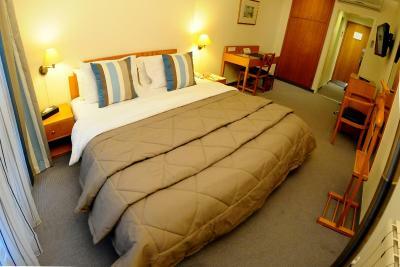 This room has a living room, fridge, flat-screen satellite TV and tea/coffee making facilities. It connects to a Junior Suite (depending on availability upon request). 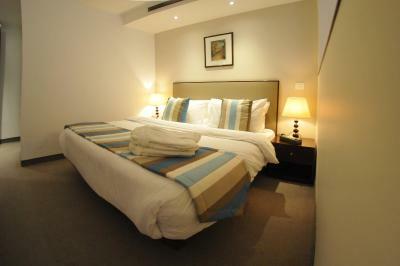 Featuring a modern design, this room has a flat-screen satellite TV and a private bathroom with a bath or shower. It includes a mini-bar, work desk and tea/coffee making facilities. This twin bedroom features air conditioning, mini-bar and 36-inch LED satellite TV. The living area is equipped with a queen size sofa; the sofa can be adjusted to be a queen size sofa bed. 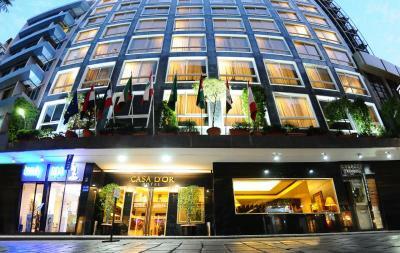 Casa D'or is a **** "B" Hotel located in the middle of Hamra district of Beirut making it ideal for business and leisure. 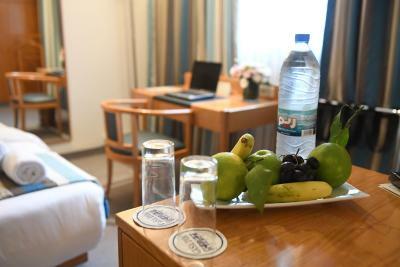 Established in 1995, the hotel has committed itself to provide personalized, professional guest services that truly reflect Lebanese hospitality. 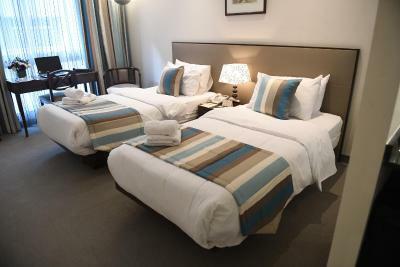 Casa d'Or Hotel continues to preserve its traditions and our main focus is centered on improving facilities and services, though offering best quality at affordable rates. In brief, Casa D'or Hotel is your home away from home. House Rules Casa D'or Hotel takes special requests – add in the next step! Casa D&#39;or Hotel accepts these cards and reserves the right to temporarily hold an amount prior to arrival. Casa D'or Hotel accepts these cards and reserves the right to temporarily hold an amount prior to arrival. 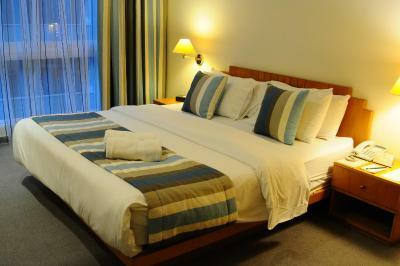 Please note that all rates are for 2 people only, any extra person in the room will be charged USD 22. The breakfast was ok but limited selection. The bathroom was worn out to a great extent. The sink was blocked one day and the house keeping did not care to fix it until I pointed this out to the reception. The pick up location was efficient but quite unfair, I was charged a huge extra due to an airport traffic in the passports control and a critical day at the airport along the expected long queue that has been a hassle for this airport for the last few month as per the receptionist, so I am unsure why I was incurred these costs. The location was superb, the staff were very responsive. good location and very pleasant staff. Breakfast could have been a bit more varied from day to day - but good variety of options. Noise travels so you can hear people in the next room over/taking a shower upstairs. Super comfy beds! Very large bathroom, nicely done with great water pressure and lots of hot water. Generally quite modern and very clean. And absolutely the most helpful and lovely staff! The Delux was a good sized room! Nice bathroom! Smell of cigarettes on the furniture and curtains was noticeable. Great approachable staff. Great service. Spacious room. Clean and tidy interiors. Good price too!